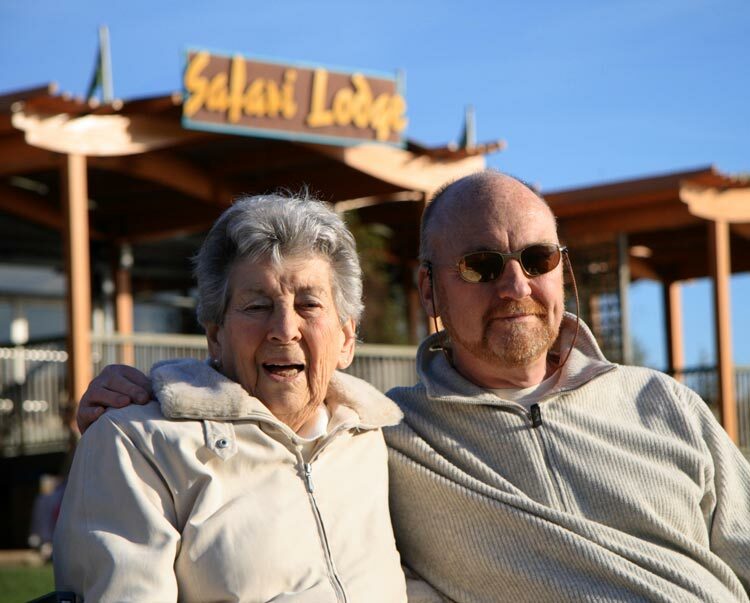 Following a wonderfully bright day on Wednesday for my mother’s 90th birthday lunch at the Loch Fyne restaurant in Woburn, it was yet another brilliantly sunny day for her birthday trip on a VIP tour of Woburn Safari Park. The Gods must indeed be in very good humour. Clearly, my mother is extremely righteous; a trait which I cannot claim to share. We were supposed to arrive for our tour “no later than 10:55 AM” so we picked up birthday girl along with her companion, Tony, just after 10:00 AM and set off on the scenic route for Woburn. I was avoiding the Old Linslade Road, which I would normally have taken, because it’s been closed for four weeks while Anglian Water creates havoc renewing its water main. Half way around the scenic route mother says, “your road ‘s open again”. “Ah, ” quoth I, “‘t is a pity you didn’t tell me that before we set off. No matter, it’s a nice day for a ride through the country.” And so it was. We arrived too early (of course) and were directed up to “Junglies Gift Shop” where we were to be met by Jeanette, our guide for the tour. Out to the Land Rover and the puzzle of getting birthday girl into the front seat. Fortunately I had come prepared with a very large caravan step, the Land Rover being much too high for a mobility-challenged 90 year young lady. After a little trepidation, she was safely lodged in the front seat and we nimble youngsters clambered in elsewhere. Off we set. Jeanette was a joy and soon seemed to warm to a slightly irreverant sense of humour from I-don’t-know-who as she drove us off road, up close to the animals and away from Joe Public. Great stuff. 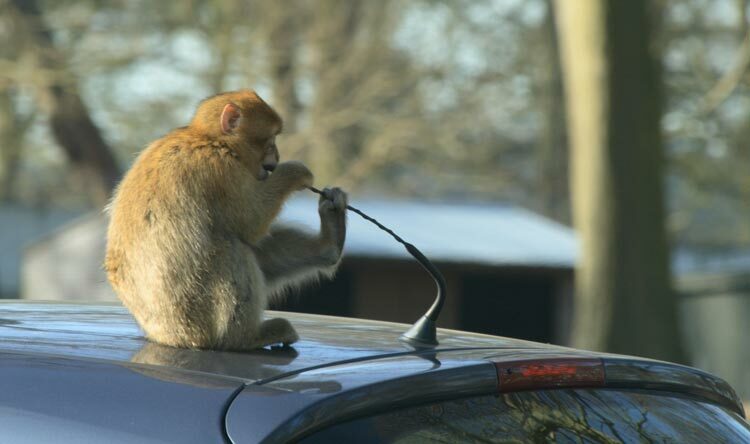 Now we could drive through the monkey enclosure with complete impunity, caring not a jot whether the wiper blades were ripped off or not. Wonderful! One recently “sexually mature” young male rode on our bonnet and, for some inexplicable reason, all the ladies seemed keen to see his bright blue testicles which apparently signify sexual maturity. Personally, I can’t say that I’d noticed. 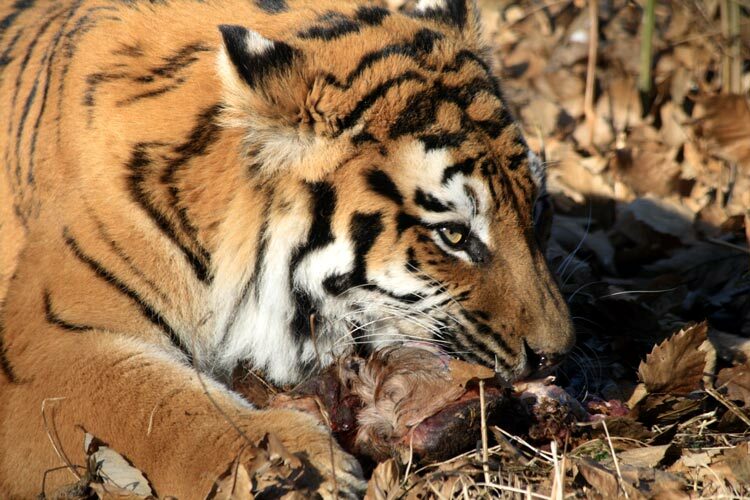 The tigers had recently been fed and were calmly munching on a spot of gee-gee for lunch. Trigger burger, anyone? Whilst tigers are my own particular favourite animals, the highlight for me must have been stroking the muzzle of a very large bull Rothschild giraffe which was accustomed to leaning down to the Land Rover’s windows for a closer look at the occupants, or maybe just to say hello. Just who was doing the studying, I wonder? We were told that he was a particularly good breeder and would be off to pastures new, soon, maybe to Prague, to mix up the gene pool. He’ll be sorely missed by all at Woburn. After the two hour tour we had a spot of lunch in the “restaurant” and a brief but tiring (for birthday girl) walk around some of the “foot safari” area but the slopes were proving a little too severe for Mater so we called it a day. So much sun and so much fun.